Social Media Management Is Important. Get Started With A Social Media Consulting Strategy That Works! Most clients begin working with one-on-one social media strategy consulting to understand the unique needs of each customer. There is no one-size-fits-all approach for social media, and thus the objective is to, in essence, understand how to map and integrate social media strategy with your own existing corporate objectives. Marketing and business development are common objectives for engaging and creating a social media strategy. The social media strategy consulting program includes: 1) on-site visits with your team; 2) a social media audit of your current efforts as well as those of your competitors; 3) an actionable blueprint for how to be self-sufficient in your social media implementation well into the future; 4) and concludes with a rolling launch of specific media such as facebook, twitter, and linkedin. The functionality of social media websites and the way we use them obviously changes over time. After creating a social media strategy for your business, it is important to maintain the strategy as well as fine-tune what is and isn’t working. Let GPS help you stay on the cutting-edge of social media through periodic coaching. The coaching program is charged by the hour, and thus is suitable for smaller business who might not have the budget to afford a complete social media strategy consulting package yet still would like to get help from experts. Proper execution of any strategy or coaching relies on how well trained your staff are in using social media. Let GPS help in the training of your staff on how to best utilize the likes of Facebook, Twitter, LinkedIn, Pinterest, Google Plus, YouTube, and Blogging to reach your corporate objectives. A balanced approach to inspirational-leadership and process-discipline takes brand awareness to the next level—beyond advertising and promotion towards altering the attitude and behavior of people inside and outside of social media and crowds. The desired outcome is to enhance the customer’s total experience, maximize operating effectiveness and grow shareholder value. This workshop explains how to shape the attitude and behavior of customers and employees in support of the organizations brand promise. The price you pay for a website will depend on a number of factors. You can make your own for free if you’re really stretched, or have a small shop create a simple site based on WordPress to get you going. In fact, WordPress is a pretty powerful content management system and many companies are moving to the platform as a viable option for easy to use, highly manageable websites. Pricing for a basic site will start as low as $1995 and may reach $9-12,000 depending on size, design and functionality. Add more complexity, and you could be up to $20,000 or more. An e-commerce shopping cart so you can sell merchandise or digital downloads online. From freeware like Zen Cart to more sophisticated solutions, getting the right people to work on your e-commerce capabilities can save a lot of headaches. User interface design, UI or UX (user experience), focuses on the usability of your site and the ability of visitors to complete desired actions. If the objective of your site is to provide shopping, search or membership features, an investment in UX work can pay huge dividends in higher conversion rates and more engaged users. Custom coding, like a specialized database application, image galleries, or recommendation engine. Thankfully, lots of these items have been packaged up as plug-in or third-party solutions that can be added to your site. However, there is a cost for integrating things like live chat, customer reviews and video capabilities. 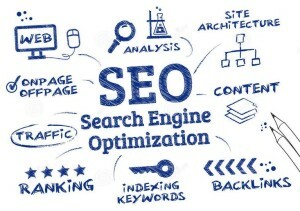 Search Engine Optimization (SEO) – While you might think that web designers are experts at SEO, the fact is that most are not (just as many are not well versed in UX). 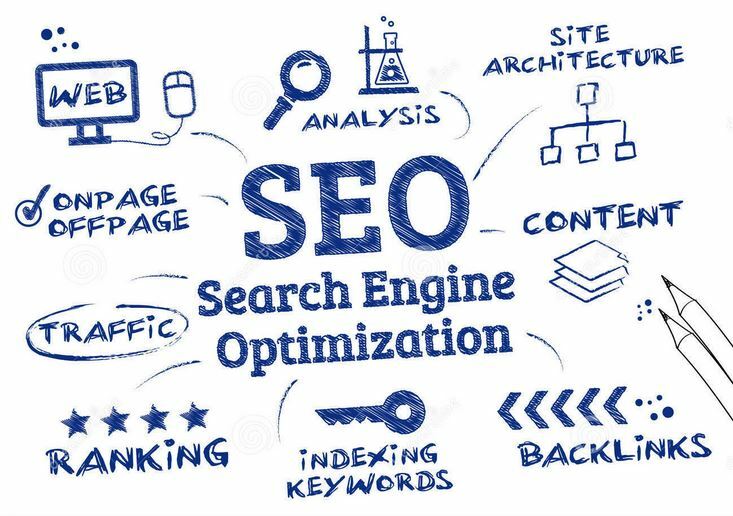 You may need a separate SEO expert to work on your site, ideally partnering with your web team to build in search-friendly structure from the start. Ongoing SEO support starts about $1500/month and goes up, depending on the size and complexity of your site. Sure, you can sign up for Twitter, LinkedIn, Facebook and hundreds of other social media sites for free. But what is your time worth? As a business professional, you can easily step into social media quicksand if you are not careful about how you manage your time and social media presence. Social Media Strategy – What are your goals? Where will you invest your time on social media? What is your message? How can you monetize your social media efforts? Are you looking for a hard or soft return on investment (ROI)? A social media strategist can work with you to address these questions and formulate a plan that works for your business. The cost? Usually $500 and up. Social Media Policies – Once you have a plan in place, you need to establish social media policies. These are guidelines for your staff that cover appropriate use, showing employees where they are empowered in social channels, and where they need to exercise caution. Well written policies can be priceless, so its worth investing $250 or more to have your own custom policy created. Social Communications Calendar – When do you post on your bog? What goes on Facebook? How often should you tweet? What do you say? A communications calendar can help you plan social media content that aligns with your strategy, enabling staff to express your messages in the right way at the right time. Monthly management of your social communications plan may run $500/month or more. Outsourced Engagement – Hiring someone to tweet and post on your behalf may sound good, but this is one area I advise clients to be cautious about. There are many risks if you outsource the voice of your business, and the cost to your reputation can be high when things go wrong. With that in mind, if you choose to outsource your tweeting, posting and blogging, hire someone you can work closely with to collaborate on plans and create content. You’ll pay upwards of $50/hour or $500+ a month.